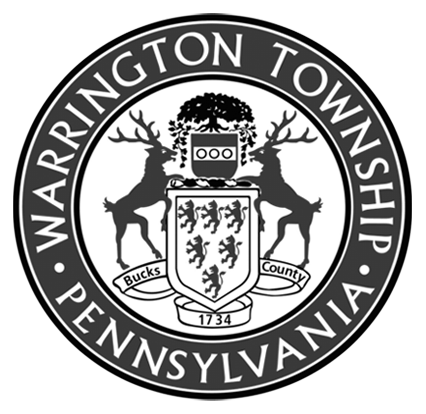 Joe Knox joined the Warrington Township Department of Public Works in 2013 as Deputy Director. On January 12th 2016 he was officially appointed as the Director of Public Works. Joe has over 38 years of local government experience with Warrington Township. He currently supervises a staff of 24 full and part-time employees providing general community services to the townships residences. Joe is responsible for managing five operating divisions within the Department of Public Works. These operating divisions are Administration, Transportation Infrastructure, Fleet Operations, Parks Department Maintenance, Facilities and Structures Maintenance. Joe has attended classes at Bucks County Community College as well as Northwestern University and Penn State University. He is a current member of the American Public Works Association. As Director of Public Works, Joe’s goal is to provide the highest quality of services and professionalism to Warrington Township’s residences. The Public Works Department is responsible for the construction, maintenance and repair of Township roads, structures, property and grounds. This department has employees, all of which are on call 24 hours a day. Most members of this department are highly skilled and specialize in carpentry, masonry and construction including electric, plumbing and welding and heavy machine operation. The Public Works Department is responsible for road maintenance on 66.6 miles of road within the Township including snow removal, patching, ditch maintenance, pothole patching and all road signage. The department also maintains the retention basins, storm water sewers and culverts found in the Township as well as all Township owned property including parks and open space. To maintain the road system and township property effectively, the department employs seasonal and periodic subcontractors. See a pothole in need of repair? To report a pothole on a Township road, email Response Line or call 215-343-9350. Please note, our crews do not patch or maintain private driveways or repair curbs. If the pothole is on a state road you must notify PennDot at either 1-800-FIX-ROAD, 215-345-6060 or visit the PennDot website. The Township cannot maintain undedicated developments; the developer is responsible for the maintenance of these roads until dedication to the Township. Be sure to check out some of the most recently completed projects including the new drainage system put in at the corner of Saddle Drive and Stallion Road to alleviate severe water retention at this intersection and road restoration at Greenwood Terrace and Meadow Lane. Future projects include restoration of the grassy area and walking path at the Barclay Retention Pond. Moveable street basketball hoops are not allowed in the street and curb areas. Garbage trucks and snow plows inadvertently hit these objects when operating. Please remove all objects to the curb right of way or turn the basketball hoop so that the rim does not hang over the street where a truck bed can hit it. The operator’s focus is on the task at hand and the curb; because of the size, weight and noise of the truck; operators are often unaware that they have hit anything. Not only does this damage the rim of the basketball hoop; it also does severe damage to the truck. The Township is not responsible when these items are hit. When buying a home, be clear on what will be your maintenance responsibility. The Public Works Department does not patch private driveways or shovel private sidewalks nor do they fix curbs in front of a residence. The Township does not maintain private backyards or remove trees unless the tree is in a Township right-of-way. These are private responsibilities of a homeowner.